Every homeowner I know is constantly searching for the best ways to cut utility bills. Thankfully, the government understands the plight, and has created programs to make energy-saving home renovations affordable. 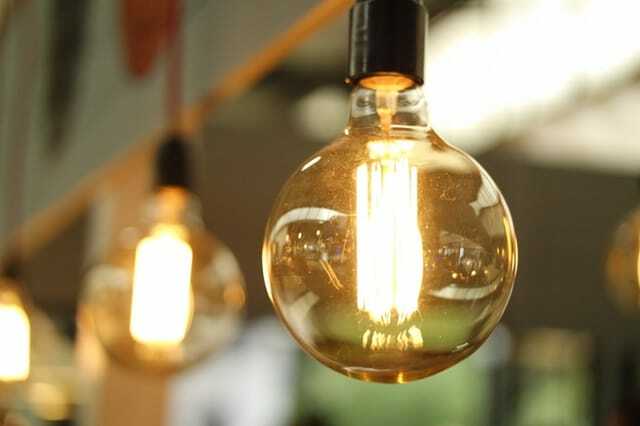 California has some of the best in the U.S.
California residents can earn money by syncing their utility accounts to a energy-sharing program called OhmConnect and agreeing to help reduce energy usage just a few hours each week. Take notes from this guy, who managed to make more than $400 in one month. Sign up for a free OhmConnect account and sync it with your online utility account. It should be through Pacific Gas & Electric Company, San Diego Gas & Electric or Southern California Edison. OhmConnect will pay you cash for reducing your electricity just a few hours each week.Your earnings are based on how much power you save. The more you save, the higher your “status,” which helps you earn even more. It’s pretty simple, and you’re helping the environment. You can save up to 10% on heating and cooling your home by properly adjusting your thermostat. Optimal summer temperatures are 85 while you’re away and 78 when you’re at home. In the winter, aim for around 68 degrees when you’re home and 58 or less while you’re away or sleeping. In most yards, grass consumes the greatest amount of water. So California is trying to reduce the state’s water use by helping home- and business-owners reduce grass in landscapes. You can receive a rebate up to $2 per square foot (up to 1,000) of grass yard you replace with “drought tolerant landscape.” Skip the grass — fill your lawn with plants requiring little water, fertilizer or maintenance. To cut water use, California’s Department of Water Resources has a rebate program that will pay you for replacing a toilet in your home. Receive up to $100 for buying and installing a toilet that uses 1.28 gallons or less per flush and replaces a less-efficient toilet that uses at least 1.6 gallons per flush. Like any energy-efficiency measures, this saves you more money in the long run, too! Less water per flush means your water bill will be lower every month. Pop into your attic. Do you see the support beams? If so, have an HVAC company come in and blow in some more insulation or install some yourself. California offers a Residential Energy Efficiency tax credit up to $500 just for improving your home’s insulation! You’ve probably heard of Energy Star certified appliances. They’ll use less energy and save you money on your water and electric bills. But did you know you could also get money just for installing one? To encourage you to save water, California offers a rebate up to $150 cash back for buying and installing an energy-efficient clothes washer. To qualify for a rebate, purchase a model on the Energy Star Most Efficient 2015 or 2016 list, take a picture of your receipt and fill out the online application before December 31, 2016. California taxpayers are eligible for the federal tax credit of up to 30% of total expenses for installing sustainable energy systems. For example, if you pay the average $23,000 to install solar panels this year, you could reduce the amount you owe the IRS next April by $6,900. Eligible solar projects include installation of residential solar electric and heating systems, as well as wind energy installations and geothermal pumps. From there, you can get quotes from local companies to install solar panels. It’s basically a free way to get a quote without having someone jump on your roof.